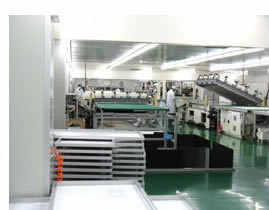 With most advanced production machineries and equipments and automatic production line, we manufacture superior quality solar modules using high efficiency mono- and poly-crystalline silicon solar cells. We also manufacture advanced power electronics such as pure and modified sine wave inverters, solar inverters, inverters with battery charger, charge controllers, battery chargers and UPS. We also manufacture other solar related consumer products. With a strong team of experienced engineers, target solar company also provides turnkey solar energy solutions to worldwide customers. From PV system designing, manufacturing key components, complete system packaging, shipping pre-packed systems overseas, to installation advisory and technical supporting, we understand our customers’ needs and do all we can to meet their requirements. In 2018 target solar company has achieved more than 50MW of solar power system at domestic and abroad, and provides turnkey solar energy solutions for countless enterprises and individual customers. target solar company has more than 10 years of experience in solar power system and has become the leading brand of solar power system and turnkey solar energy solutions in Taiwan ROC the Republic of China. 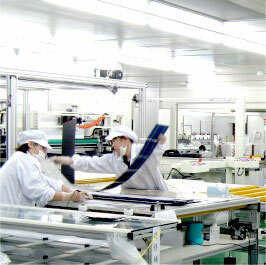 Achieving the highest quality in the manufacturing solar products is the main goal of our business. Applying the latest technology to our manufacturing and testing facilities and with the carefully trained engineers checking every step of manufacturing process, ensures products of highest quality and reliability. 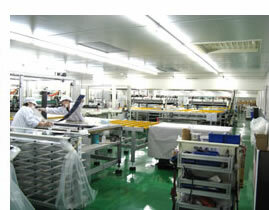 Our solar modules have TUV, IEC, CE certifications and UL listings. Our advanced power electronics received CE, VDE, ISO, C-Tick Mark, UKAS, and BVQi certifications. We manufacture lighter, more efficient, reliable, and intelligent advanced power electronics with fault rate less than 1 per 1,000 units delivered. target solar company proved to meet highest product quality and reliability. target solar company offers custom design products and service. 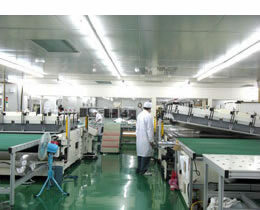 We manufacture products to meet the different needs of all customers. We pay close attention to the customers’ requirements, offer products and well engineered systems that best suit their needs. Our prompt customer service and efficient after service has made our customers put considerable trust in TARGET SOLAR COMPANY. Well written and organized product manuals and installation guides in different languages are available to reduce the on-site installation time. Our group of engineers will be more than happy to provide technical support to achieve highest customer satisfaction. With professionalism and service target solar company becomes the world's top three largest manufacturer and the world's leading professional and largest solar power system integrator.